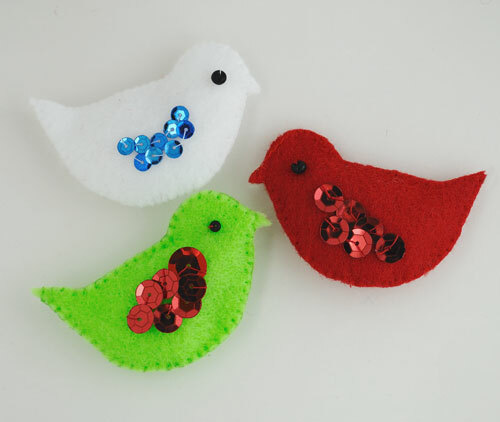 Remember those little felt birds I shared with you last week? …I mentioned I had further plans for them. 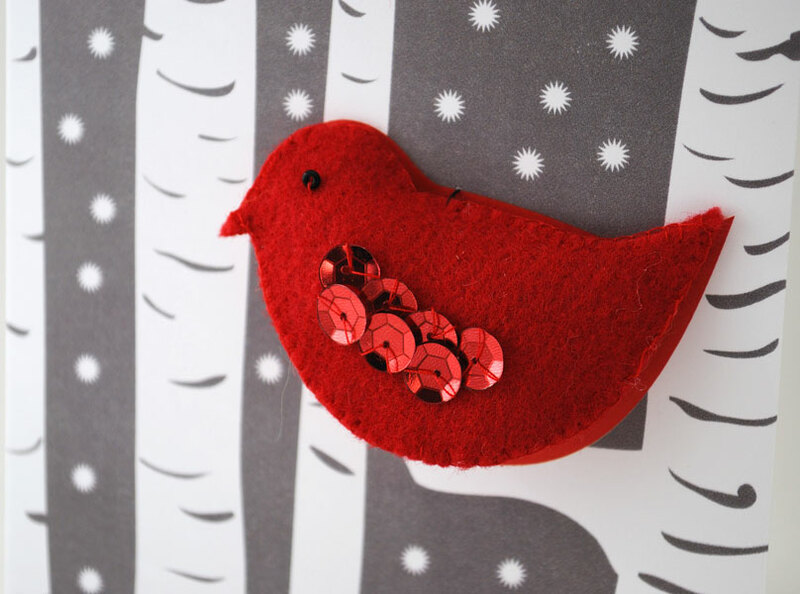 When I started making them I thought they would be a great little addition to slip inside my Christmas cards – small and light enough not to blow the postage bank and a little bit of fun. 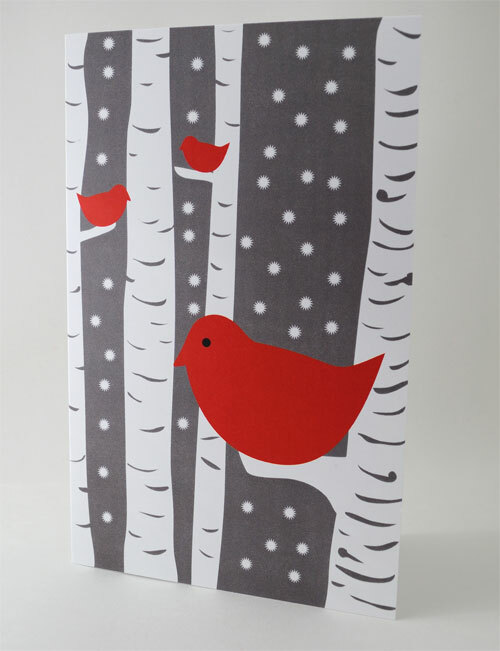 Then I got thinking … why not make them a focus of the card, and that meant designing a custom Christmas card. Considering I am a professional graphic designer this is something I have done before for clients but never for myself. So I cracked open Adobe Illustrator and got to work. An hour or so later I had my design created and uploaded to Vistaprint for professional printing. And here it is back in record time from the printer…I didn’t even pay for a rush job and got the card in just 4 days! I am really happy with how it turned out, a clean contemporary design that looks good “as is” … but now for the clever bit. This entry was posted in Celebrate in Style, Christmas, Craft Projects, FREE, Graphic Design, Holiday Projects, Printables. Bookmark the permalink. And, I'm a sucker for cardinals. what a cute idea!!!! 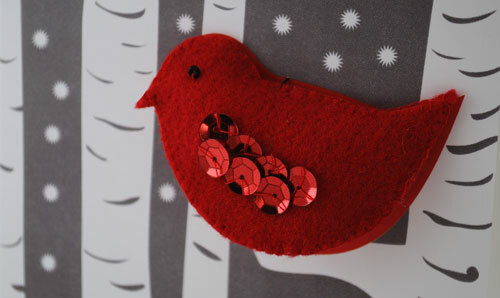 i love the bird and the sequins and love the card it goes with! Zoe, this is absolutely gorgeous! I love the little bit of bling on the bird. And, as always, your art is over the top good! Thank you so much for linking up to the party! 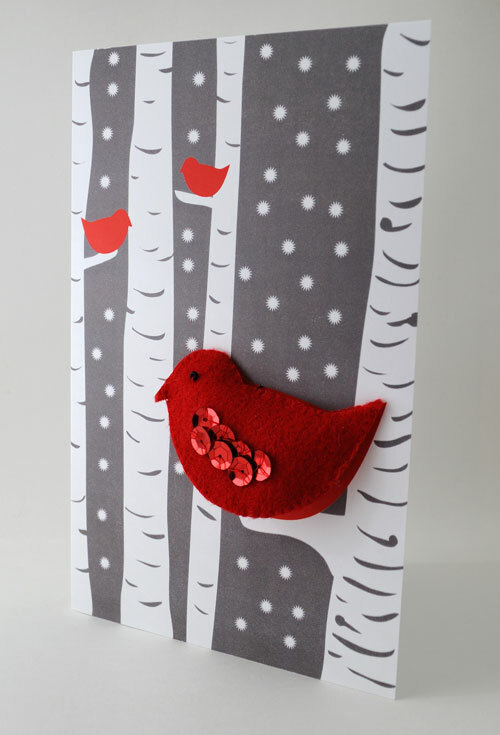 Most beautiful card and cute little bird! Lovely idea! Are you still offering your Christmas Card? I think it is so beautiful.. The cardinal was my Mom’s favorite bird. This would be a most perfect card to send to my family and friends this year in her honor. Thank you for your consideration. Can you send it by e-mail?